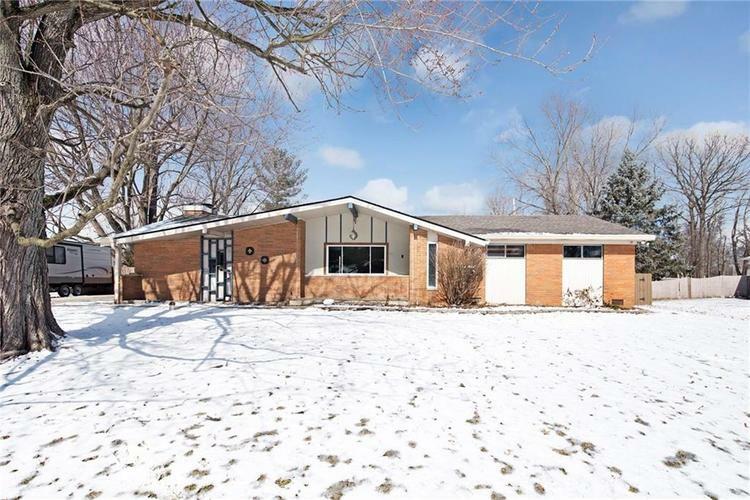 Welcoming you to Avon is this beautiful mid century ranch home. Full brick wrap, NEW ROOF, large masonry fireplace and fully fenced back yard. This over sized back yard features a large storage shed and large deck perfect for entertaining. The well is connected to exterior water spigots and city water is connected inside this beautiful home. Completely updated kitchen with freshly painted cabinets, tile back splash, quartz counter tops, and stainless appliances. Eat in kitchen opens to family room with vaulted ceilings and a large masonry fireplace with direct access to the back deck. Large living room for extra living space, updated main bath and nicely finished master bath. Directions:US 36 (ROCKVILLE RD) TO COROTTOMAN CT. (JUST WEST OF THE YMCA), NORTH ON COROTTOMAN TO HOME ON LEFT.